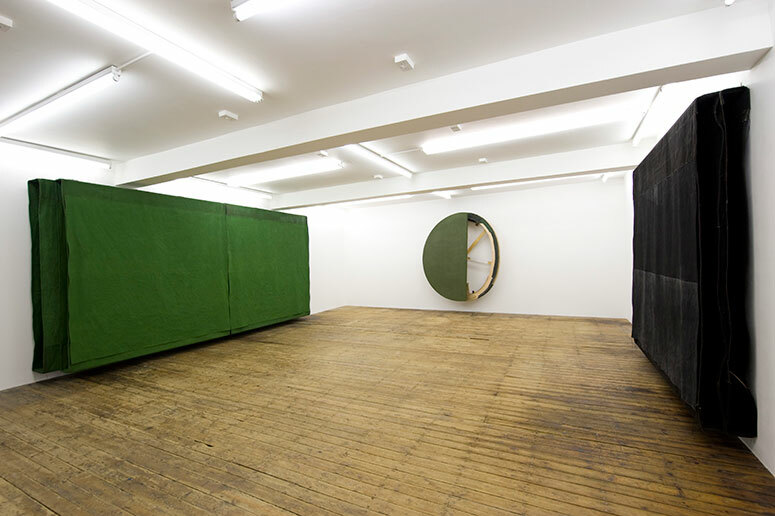 The tiny start-up FOLD Gallery in the East End of London is holding a show of works by Simon Callery, an artist once part of the YBA movement. His new work – on show from Tuesday 12 October – consists of tinted canvases or papers which have been taken off the wall, revealing the spaces behind or around them: “I am trying to find new places to take painting,” says Callery. Among the works is “Wall Spine”, a series of hanging papers, and the egg-shaped “Chromium Oxide Cut Pit Painting”. Prices are from under £10,000 to over £20,000.